Heute zeige ich euch mein neuestes Layout for das Design Team von Lasting Memories. Diesen Monat geht es um Papiertechniken. Diese Woche: Gestalte dein eigenes Hintergrundpapier! 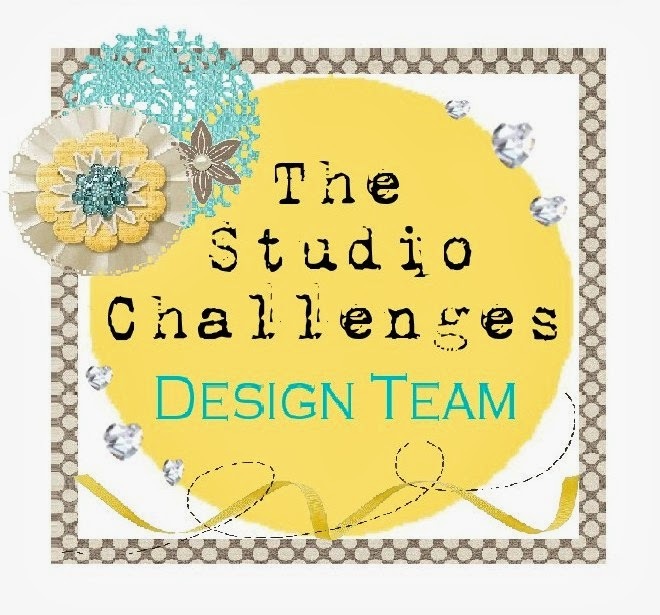 Today I'm sharing my newest layout for the Lasting Memories design team. The focus this month is on papers. This week the assignment is: create your own background paper! 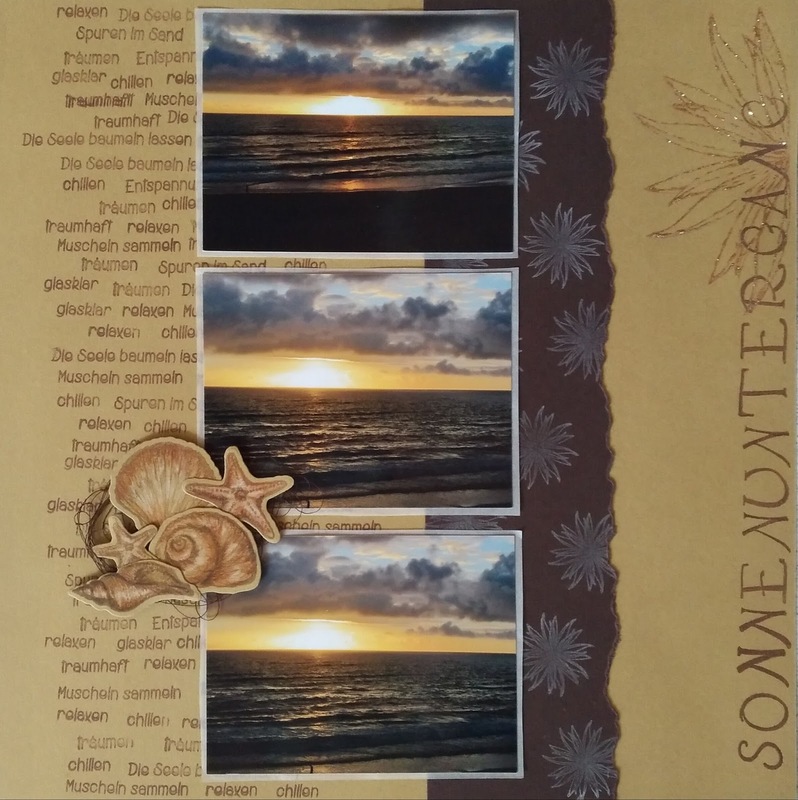 Hierfür habe ich die Worte der SF-Stamps Set "die Seele baumeln lassen"auf mein Hintergrundpapier gestempelt. Auf einen Streifen dunkelbraunen Cardstock habe ich noch einige Blumen aus dem Set "die besten Wünsche" gestempelt. 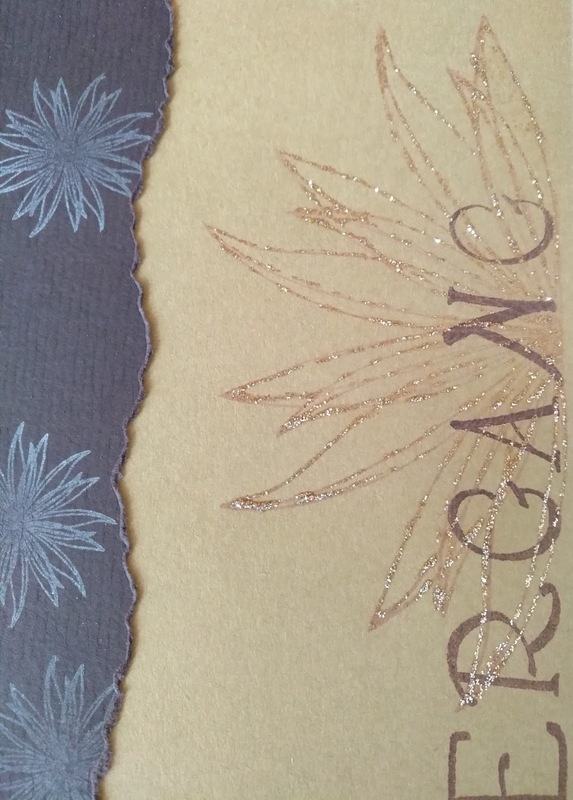 I stamped words from the sf-stamps collection "die Seele baumeln lassen" onto my background paper and some flowers on a piece of dark brown cardstock to use it as decoration. 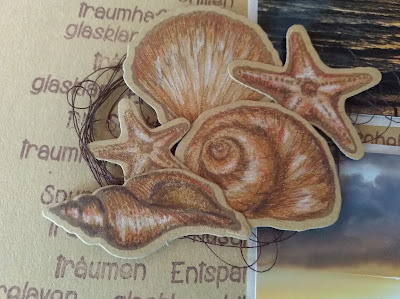 Die Muschel-Stempel habe ich mit brauner Versafine-Stempelfarbe auf Kraftpapier gestempelt und mit Polychormos coloriert. Ich bin total begeistert, wie toll das auf dem Kraftpapier raus kommt! I stamped the seashell stamps with brown versafine and colored them with polychromos pencils. I really love how it turned out on the kraft paper! Die große Blume aus dem "die besten Wünsche" -Set habe ich mit hellbraun gestempelt und dann mit Stickles nachgefahren, damit es schön glitzert. A close up to the big flower that I stamped and then traced with stickles to give it a more glittery effect.